Basses, this is all about basses for a big and deep track foundation. Analogue style basses, modular style basses, digital basses, electric basses, you name it! Most of this presets have some parameter mapped to aftertouch and at least one macro is used in each and every preset. 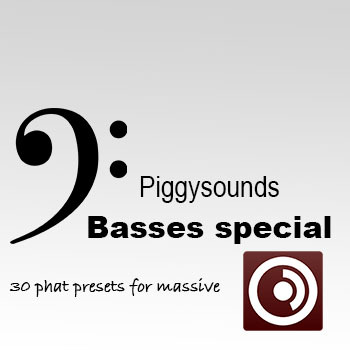 Piggysounds Basses Special will make your tracks sound deep!! !